Thank you for becoming part of our ever-growing family of audience response system enthusiasts. These installation instructions will help you become a professional in no time. With our easy-to-use polling software and short videos, you’ll be on your way to fun, interactive meetings. Let’s get interactive! 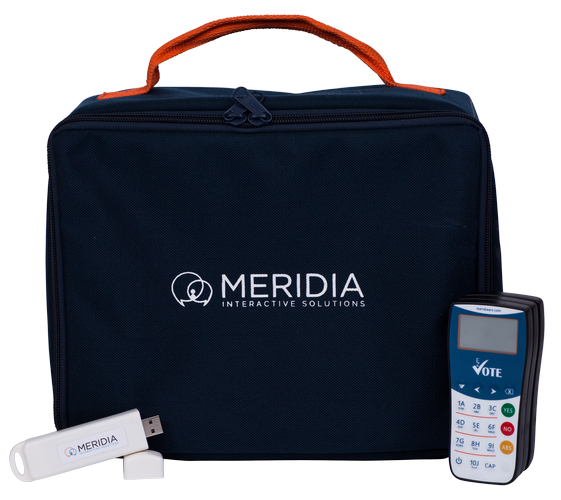 Audience response system consists of a USB “stick” (base) receiver, wireless response clickers, and a standalone or PowerPoint-integrated interactive polling software. The receiver looks like a flash drive and needs to be plugged into the computer in order for the keypads to work. Depending on your order, inside your carrying case, you will see one of the models pictured below. 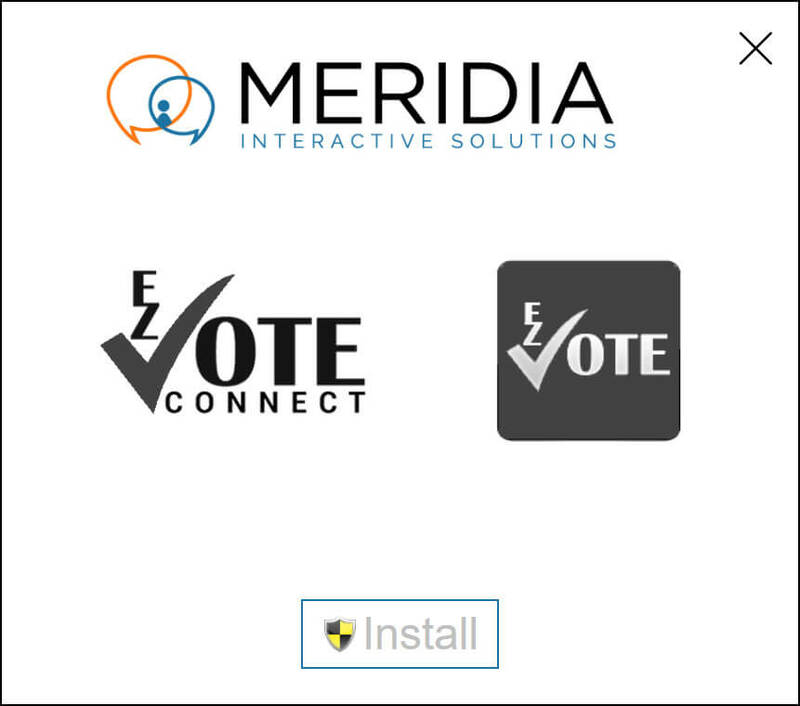 Each system purchased from Meridia comes with 12 months of CloudVOTE mobile polling and content management subscription. To activate your license and permanently unlock the desktop software, login to the CloudVOTE account. If you still can’t find the email, please contact us at [email protected] and provide your base serial number in the email. We’ll take it from there. Learn how to use the software (as needed). Do I need administrative rights to install the software? Yes, you need to be a local admin to install the software, or your IT/IS can install it for you. What are the system requirements for EZ-VOTE Connect installation? Is it necessary to activate the Connect app? Can I install/activate the app on multiple computers? There’s no seat license, or any other limit on the number of installations, or activations (# of times you use your CloudVOTE login). However, if you need to separate your content from one trainer to another, or from one location to another, you’ll need separate CloudVOTE subscriptions, or a master and child subscriptions (sold separately). Your security software may be blocking the installation. Your firewall may be blocking the installer from downloading the required components. Try downloading the “offline package” as a whole and try again. Solution: Try to temporarily disable the antivirus, security software, or firewall and try again. Other solutions: this article talks about admin rights, this one specifically talks about McAfee VirusScan issue, and this one deals with how your firewall may be blocking the activation attempts. Just in case you’re having trouble with the installation, or activation…here are all the necessary steps, visualized. Run the downloaded .exe file. Click Install. 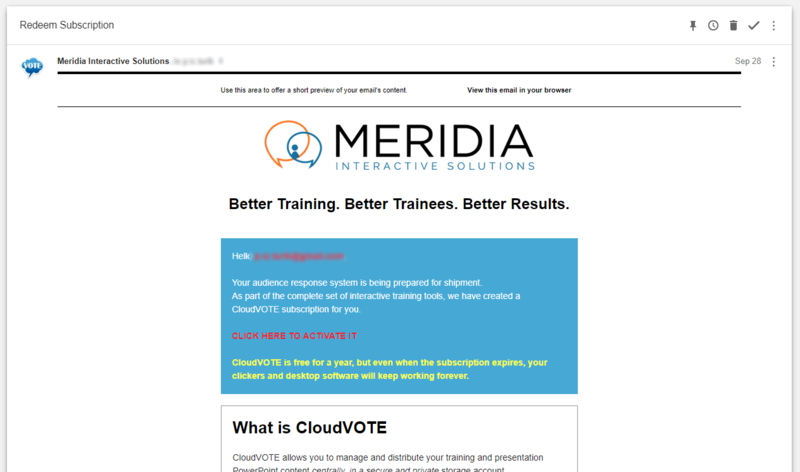 Login with your CloudVOTE Email (or Access Key) and Password. 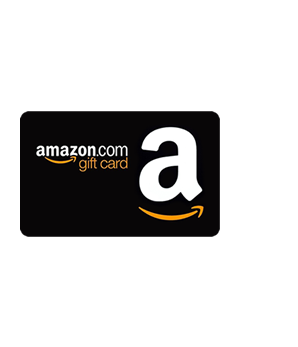 Verify the subscription expiration date and your Access Key. Your clickers can be customized even after the purchase. You can get a set of lanyards, or a custom faceplate that is easy to apply. We will provide the template, and even assist with design of it. Learn more here. EZ-VOTE videos contain individual lessons, as well as a complete course covering 45 minutes of instruction. The rest of software training are short, but informative “Getting Started” guides. 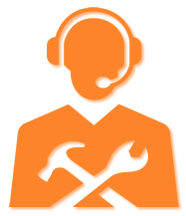 Should you need more hands-on, personalized training, or if you have a larger group, we are here for you 9am to 4pm Eastern Time. Schedule a training session at your convenience. Find our system requirements, Windows USB drivers, slide backgrounds, cool countdown sounds, and helpful ARS introduction/instruction slides in the Downloads section of the Support page. We also put a full version of the User Guide, EZ-PRESENTER cheat sheet and helpful installation tips there. is a simple, yet powerful BYOD mobile polling app. It lets you use your new keypads when there’s no internet connection or invite attendees to use any mobile device to connect to your interactive polling session when you have one. We are here for you every step of the way. 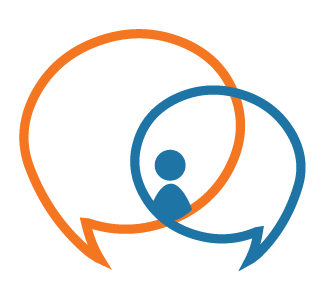 To get started, visit our Knowledge Base to find answers to your questions quickly and efficiently. If you have any problems, please submit a ticket here. Please review the information in this PDF document for full disclosure of limitations and length of the support and warranty Meridia provides with its products.